Gareth Southgate has already succeeded where his predecessors as England manager failed. He has shown the Football Association that the next time it is looking for a coach to play progressive football, the solution can be found at home. It has long been my opinion England should be managed by an Englishman, but not because of lack of respect for foreign managers, nor because of a blinkered sense of patriotism. Primarily, my reasoning is based on the idea international competition should be exactly as described - the best of one country against another. I understand some smaller nations need help, but it always seemed absurd to me that a country with England's resources, with so many highly-qualified coaches, looked abroad for an expensive alternative. The right candidates have always been there, but England have not often picked well. Experiences with Sven-Goran Eriksson and Fabio Capello served only to highlight how confused it has been. Both were appointed with the remit of evolving a more tactically educated, possession-based game. Neither did. Eriksson and Capello came to England and embraced 4-4-2, made the big man up front - Emile Heskey - crucial to their strategy and created sides with no resemblance to the passing style of the continentals. Eriksson and Capello were not alone, following a trend in English club football. The two managers with the greatest influence on my career were Gerard Houllier and Rafael Benitez. Houllier was appointed Liverpool manager after implementing France's Clairefontaine blueprint that won his country the World Cup in 1998. Benitez was headhunted because his La Liga-winning Valencia team never allowed us a kick when harassing and outclassing us in the Champions League. What did both do when they came to the Premier League? Bought a big man to play up front. Houllier broke our transfer record to sign Heskey. After a year in England, Benitez signed Peter Crouch. Our successful era under these managers was mainly built on keeping clean sheets. Too often we characterise coaches based on nationality, presuming all those from abroad are enlightened, and all those at home are still in need of being directed out of the dark ages. Clearly, there are some who have imported methods successfully and had a profound impact - most notably Arsene Wenger and Pep Guardiola. Obviously, there are some English coaches who conform to stereotype, preferring the pragmatic 4-4-2 of old. When Steve McClaren, Roy Hodgson and, albeit briefly, Sam Allardyce failed in the England job, it did not help those emerging coaches who wanted to play a different way. But in my experience, there are generalisations about English and foreign coaching, with plenty conveniently spinning arguments to imply vast differences in philosophy. My experience working under both British and overseas coaches contradicts this. The best coaches - wherever they are from - are curious about different styles, so it makes sense that many of those who have come from Italy, France, Spain or Scandinavia have been influenced by English football. In the same way I have worked with British coaches who preferred Dutch or Spanish methods. At club level, the managers I worked with who were most obsessed with possession-based football were from Bootle (Roy Evans), Glasgow (Kenny Dalglish) and Northern Ireland (Brendan Rodgers). This brings me back to Southgate and his ideas, which are more influenced by playing from the back, not only when compared to Hodgson and Allardyce, but also to his European predecessors. Southgate is taking the England team in a direction we have not seen since Glenn Hoddle and Terry Venables's reign. Allardyce would have been old school like Hodgson had he stayed. You could argue between Hoddle and Southgate - stylistically, at least - England missed a chance, having appeared to be going in the right direction with the possession game more suited to international football in 1990, 1996 and 1998. International football is slower, more defensive and, as a whole, there are fewer chances against well-organised teams. It is imperative not to be wasteful on the ball, yet that has been a negative feature of England's performances in recent major championships. The loss to Iceland in Euro 2016, when they were unable to string passes together, was the lowest point. Watching England over the past few weeks has felt different, the excitement around the team comparable to the 1990s. I reached the quarter-final under Eriksson in 2006, but it was not like this. There was negativity because we did not play very well to get there. But despite the hype, this is not a side creating lots of chances, cutting through defences and playing like Manchester City. But it feels more proactive, and the reason is greater control of the ball, especially from the back. On average, England are completing over 100 more passes a game than in 2006, and 169 more than in Euro 2012. Apart from a brief spell in the first period of extra-time against Colombia - which coincided with a slight change of shape - England have never been under pressure defensively. The foundation was put in place when Southgate changed to three at the back after the qualifiers. The system is good, even if something is still missing in quality in the final third. Southgate picked Jordan Pickford over Jack Butland because his distribution is superior. It is the same with Harry Maguire being preferred to the more experienced Gary Cahill. As someone who championed the idea of a more technical game across youth levels when he joined the FA, Southgate has stuck to his values. What England still lack is creativity linking midfield and attack. There is not a lot Southgate can do about that. 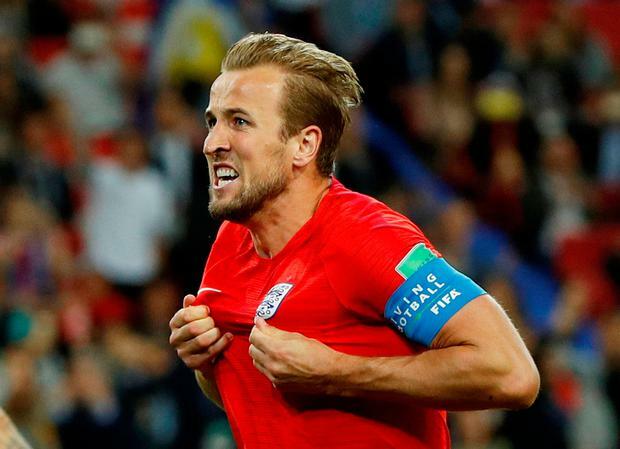 England do not have that magician - someone to supply Kane the chances in open play. They are too reliant on set-pieces. That may ultimately be where they fall short. But they are still playing with control and opponents are not hurting them. The irony today is that England face a side playing the style many have been denouncing in the England team for years. Sweden will be well-organised, defensive and content to concede the ball. England have been trying to banish old-school tactics for 20 years. Now they stand between Southgate and a World Cup semi-final.